I like this article. Just as medical guidelines have both false positives and false negatives, so do legal rules. 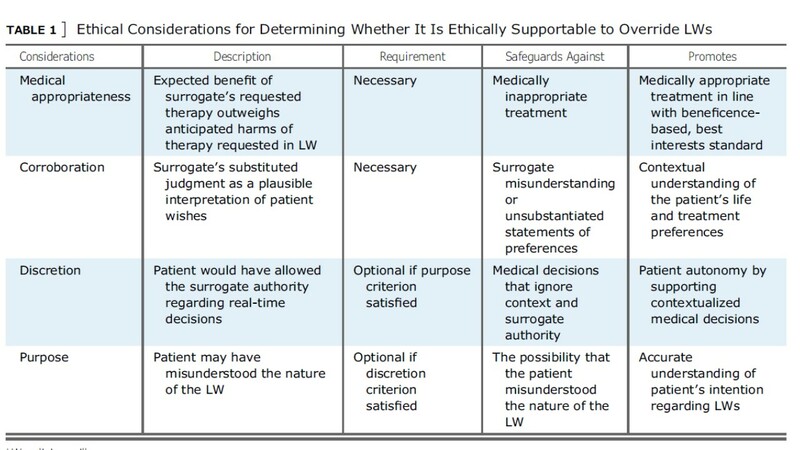 If we were solely concerned with mitigating the risk of surrogates wrongly overriding the patient’s express advance direction instructions, then we would categorically bar that. But the harm from such a rule might exceed the benefits, because it would not allow deviations from the advance directive even when warranted. 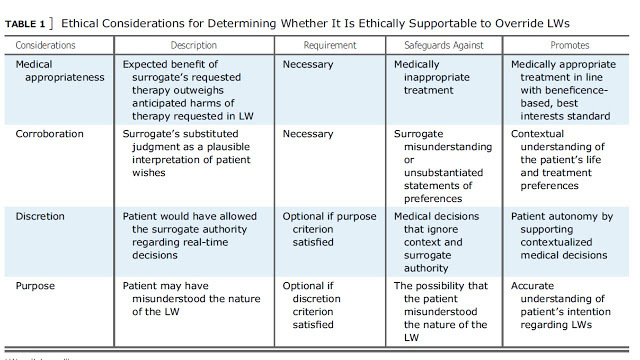 It might be an interesting project to take a good subset of cases in which courts override advance directives and see if Bruce et al.’s criteria are satisfied.